Great multi-tasker! 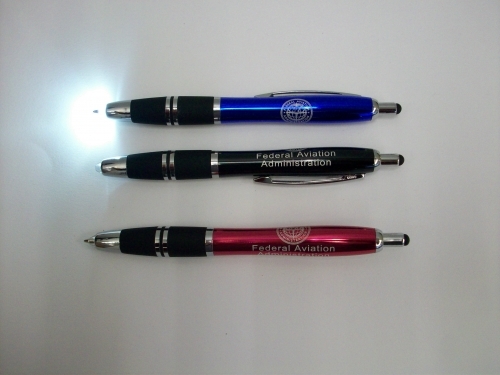 It's a pen, it's a flashlight, it's a stylus - all in one! Sleek metal ballpoint pen. One click for pen, two clicks for both pen & light. FAA logo on barrel. Colors: Blue, Black or Red. All have black ink.